Welcome to Alfabetos NET (aka RosettaBabel), this website is for learning alphabets from around the world easily and free. We use simple animations in Adobe Flash, compatible with many current electronic devices. Alfabetos Net (aka RosettaBabel) is a page with mini-educational courses to learn different types of alphabets, primers and signs in several languages, existing or extinct. If you travel to places like Japan or Greece, will be very helpful. Besides, you can also download the version for mobile and learn all the signs in record time in any place: bus, tren, airplane or metro. Learn the Basic Japanese syllabary. 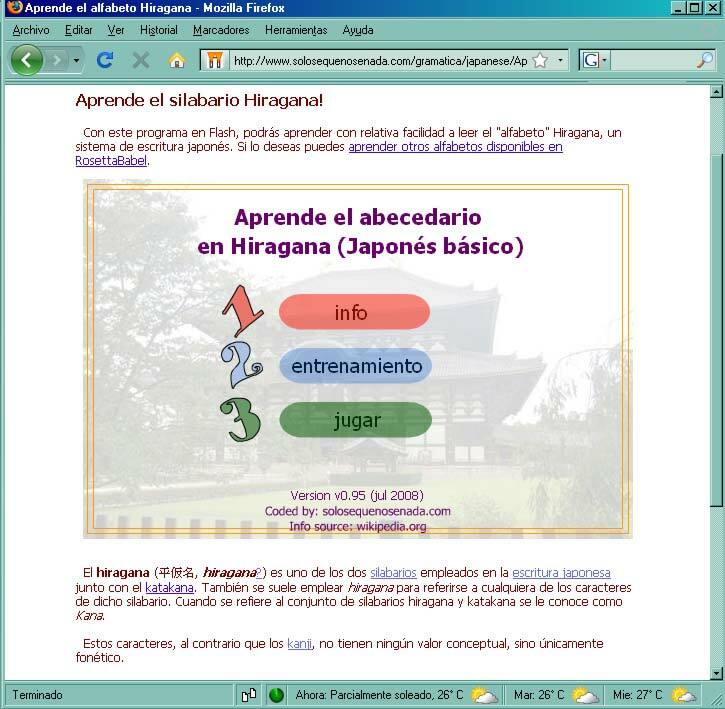 Hiragana course, in Spanish (compressed ZIP). Katakana Course, in Spanish (compressed ZIP). Japanese Course numbers, in Portuguese. Chinese writing basic course, in Spanish. Chinese writing basic course, in English. Russian-cyrillic alphabet course, in Spanish. Korean-Sino Course numbers, in Spanish. 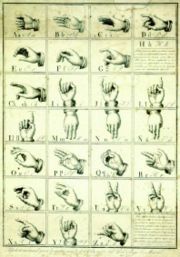 Course dactylological language or signs, in Spanish. We tested the courses for mobile phones with next devices: Nokia 5220, Nokia 5310, Nokia 6131, Nokia 6300, Sony Ericsson s500i, SonyEricsson W880i and SonyEricsson W890i. if you work on other models, please tell us in the comments of this page. ATTENTION! if your PC does not show correctly some characters (eg squares out) is because your computer is not ready for viewing. To fix this you must use the installation CD of your WinXP (see below). If you haven't XP, then search with google "how install IME". To fix the display problem with Windows XP: To install, find your WinXP CD (Your PC will ask you later) and go to "Start" button -> Settings -> Control Panel -> Regional and Language. In that menu should be check the second tab, where say something like "Installing easter language support" (my windows is in Spanish and don't know the exact text in English). Later Windows need the original XP CD. That will install IME, which can display Japanese characters and others on your PC. (information taken from spanish website comerjapones.com). If you want to help to translate or correct this website and its courses, you can use the page with the texts used in our flash-courses, or use this form for write us whatever you want.